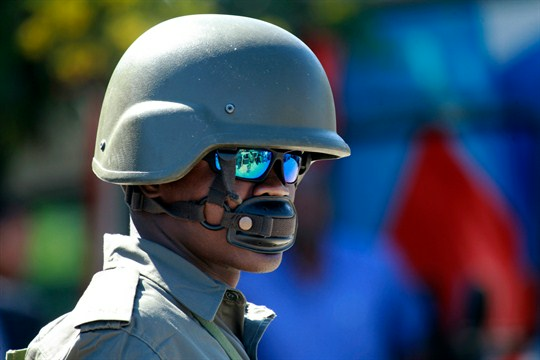 A soldier stands guard at the state funeral of Mozambique’s opposition leader, Alfonso Dhlakama, in Beira, Mozambique, May 9, 2018 (AP photo by Tsvangirayi Mukwazhi). In early October, a court in Mozambique began trying 189 people accused of carrying out a spate of grisly attacks, some involving beheadings, in Cabo Delgado province, in the north of the country. The trial, the first of its kind, represents a rare opportunity to gather information on a security threat that continues to confound experts and government officials alike.